The Welsh Local Government Association works with local authorities to assist them meet their health and safety requirements. Working closely with practitioners, central and devolved government departments, the Health and Safety Executive and other organisations, we strive to improve local authorities' performance on health and safety at work. We also provide the view of Welsh local authority employers to government departments and agencies to ensure they are adequately considered within their policy-making process. 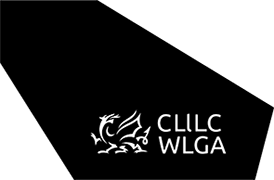 To assist Welsh local government the WLGA supports a Manual Handling Group made of the expert practitioners in the field of manual handling and MSDs from local authorities in Wales. The group aims to establish a consistent approach to best practice through the development of guidance, provision of advice and support to each other that not only manages the risks to employees but is also integrated into service delivery in areas such as refuse/recycling and social care. The group has developed a number of documents to support local authorities in Wales.